If you’ve ever traveled & stayed with an Airbnb host, you know that once you book you can easily switch to text messaging. Sometimes this is easier. But as I found out, it’s smarter to stick with a channel that we all can share. I had a similar experience with a recent consulting customer. The lesson was much the same. Choose your communication channels wisely, for you may need them for other reasons later on. 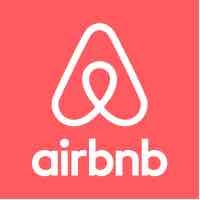 I’ve been hosting travelers off & on through Airbnb for some time. It’s a fun past time, as you can meet some interesting people, and share a little bit of *your* city. That and there’s a little bit of extra income too, which doesn’t hurt. One visitor I had wasn’t particularly happy with the setup. I’ve hosted dozens of people before, so I know that the space is popular to most. However this one guy seemed unhappy from the start. He didn’t read the fine print that it was a shared space with separate rooms. He was unhappy with the specific location too. And later he complained about a bicycle I had loaned him. At the end of his visit he asked for some of the fee to be refunded. As I dug through our Airbnb chat, I copy/pasted our various communications, and in the end this helped clarify & remedy the situation. It also didn’t hurt that Airbnb themselves were there behind the scenes and could review all these messages as well. Having a third party to arbitrate can make a big difference. Lets hope it doesn’t come to that, but if it does, you want a communication channel they can also see. Over the years I generally use my own email for projects & engagements. However recently I took on a longer engagement. At the start there was some insistence on using an internal email for communications. I was hesitant, but eventually conceded as it tied in with google calendaring and various internal aliases. As the months went by, I tried & failed to use both emails for correspondence. It was a habit that was hard to change. What’s more forwarding *all* emails to my own was also difficult. With an ongoing barrage of [email protected] messages numbering in the hundreds, it simply blew up my email account. That wasn’t sustainable either. You may not be thinking of after your consulting assignment at the start of it. But you should be. You’ll engage in many communications, about a lot of different topics. Some about what is & isn’t in scope. Some about deliverables & timelines. You’ll also have communications has things unfold, and as they are delivered. All of these are crucial to the engagement, as evidence of what was done when. If after you leave, all those emails are gone (at least that you can reach), it can be problematic. What’s more once you set a precedent communicating one way, it’s hard to change habits. Best to set the precedent strongly up front. In todays mobile-heavy world, there are tons of channels we can use to communicate. From Whatsapp to Slack, Hipchat to email & text. They all have their strengths & weaknesses. But sometimes we need to choose based on future needs. Leaving a paper trail can be important. Having future control over those past communications can bring legal benefit. And all of these communications can help avoid misunderstandings if they’re available for review later. Previous PostPrevious Is Amazon too big to fail?